Jennifer Lopez became engaged to her Instagram husband of the last two years, former New York Yankees player Alex Rodriguez, during a stroll along an idyllic beach earlier this month. Lopez received a 6-carat pink diamond ring, and the couple celebrated their engagement through a series of Instagram pictures showing the picture-perfect proposal. 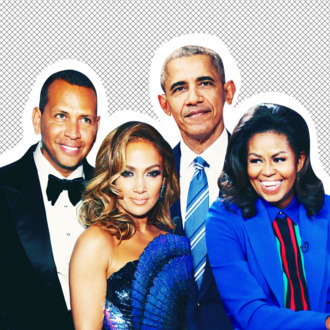 And now, it seems that the couple has another thing to celebrate: Barack Obama recently sent the couple a handwritten note extending well wishes from him and Michelle, which the baseball star understandably posted on social media. Dang, Look at the Size of the Engagement Ring A-Rod Got Jennifer Lopez!